Orangevale provides a rare chance at living in a small town and rural environment, while being located in the middle of a growing metropolitan area. The major thoroughfares; Madison & Hazel Avenues and Greenback Lane, link Orangevale with the surrounding communities and provide easy access to Hwy 50 and Interstate 80, yet Orangevale has kept its country charm and small town spirit. 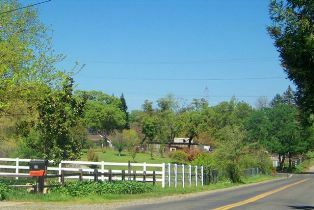 Many of the residential properties in Orangevale are zoned to accommodate horses and orchards. Orangevale is known for its natural spaces with heritage oak trees, walking trails and the beautiful Mississippi Bar area of the American River. The annual Pow Wow Days features a hometown parade, carnival, arts & crafts, food vendors and live entertainment. The Community Center and grounds feature baseball and soccer fields and hosts adult and youth activities and classes including- aquatic, sports & fitness. Orangevale remains the best of both worlds - A small town in a thriving community. Listing information last updated on April 20th, 2019 at 5:55am PDT.